El Día de los niños is a celebration of children, families and reading. The celebration emphasizes the importance of literacy for children of all linguistic and cultural backgrounds. 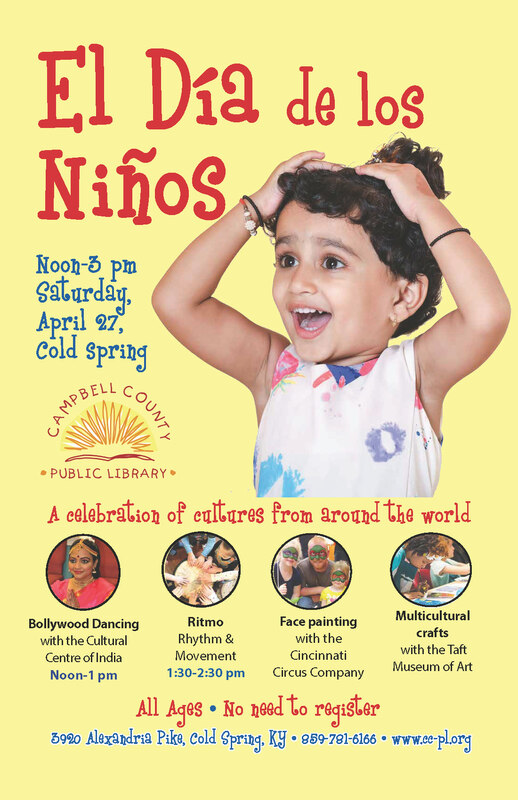 The celebration will take place at our Cold Spring Branch on Saturday, April 27. Our mascot, Cam the Library Lion, will be stopping in throughout the program to say hello! Northern Kentucky University’s Department of World Languages and Literatures helped us create videos of children’s stories being read in five different languages. Take a look at some of them below! Click here for all 12 stories.